The Hotel Cortijo El Paraiso is located in the heart of the Cabo de Gata nature park, Spain’s first maritime and terrestrial national park, where the nature simply takes your breath away. 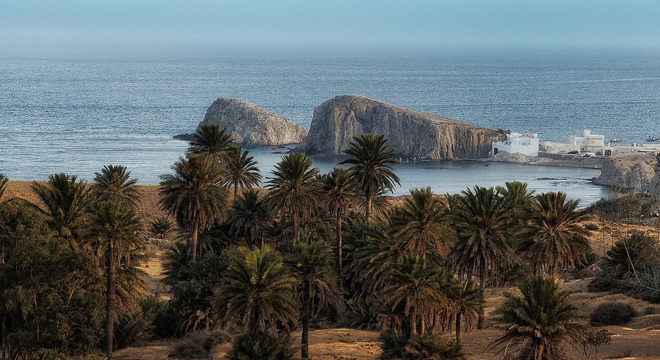 The outstanding park covers some 38,000 hectares and runs from Cabo de Gata all the way to Agua Amarga, and the creeks, black sandy beaches and coastal palm groves are really worth visiting. 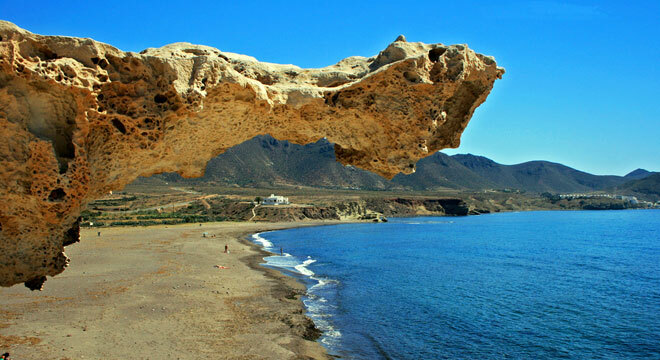 Just 1 km from the Cortijo El Paraiso hotel, this fine sandy beach is bordered by amazing fossilised sand dunes that dominate the sea. 1km from the beach is Castillo de San Felipe. The fort was built in 1771 by Charles III of Spain and restored in 1991 and not-to-be-missed Flamenco concerts are programmed within the walls of the fort throughout the summer! The “Isle del Moro”, just 3 km from the Hotel Cortijo El Paraiso, is a beautiful small fishing port that is still very active. The name of the fishing village comes from the pirate ships that sought refuge behind the isle located just a few metres from the beach. One of the park’s longest beaches with 400m of fine golden sand leading down to the calm waters of the Mediterranean. The beach is surrounded by mountains on one side while the San Ramon castle overlooks the beach on the other. The edifice was built in the 18th century to protect the coastline from pirates. 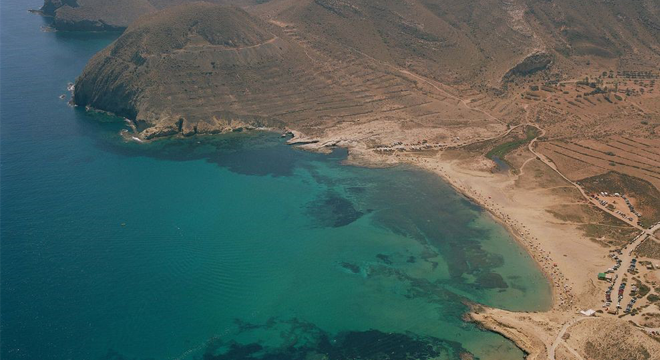 A coastal path offering superb views of the sea runs from Playazo beach to the village of Las Negras.